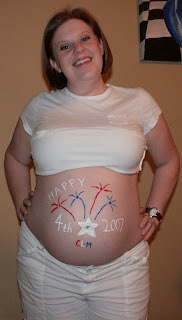 Chris had some belly painting fun today. Happy 4th every body! I love your baby belly Abby! !